I’ve probably beat you over the head with the word “transitional” over the last few weeks, but to be fair, that’s just the weather we deal with here in Texas. Unlike places up north, we don’t really get to enjoy true fall until late October early November. We have gotten lucky with a dip in the temps over the last week, which has been SO nice. I’ve been going on early walks to enjoy the brisk air (62 degrees yesterday morning! ), but the weather warms back up to the high eighties, low nineties when the sun is out. So while I’d love to wear those Club Monaco sweaters and velvet pieces I purchased recently, instead I reach for more transitional items that have got the look of the season without the heavy fabrics. 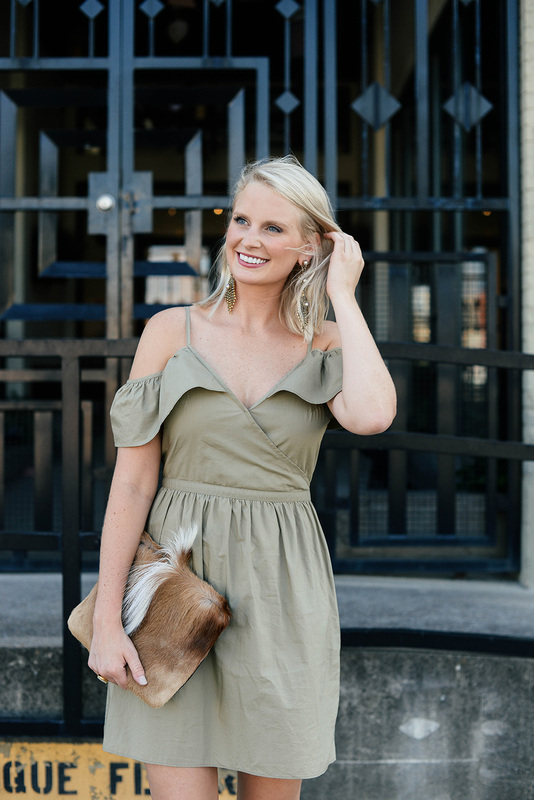 This Madewell dress is one of those pieces! The khaki green hue screams fall, while the silhouette and breathable cotton make it totally wearable right now. Wear it casually with sneakers or flat sandals for daytime, or dress it up with heels and a leather jacket at night! Plus, at just under $100 the price is right. Loving the tapestry-inspired floral print on this number. A great day-to-night option as well! Since it is long-sleeved, you can pair it with tights and boots once the temps drop! I just ordered this super simple black mini dress for wearing under things like leather jackets, trenches and the sequin blazer you may have seen in my latest video that went live yesterday! Hope it fits! Rachel Pally is known for her softer-than-soft jersey dresses, and this leopard print style is the latest on my list! Isn’t this Keepsake dress stunning? The color scheme would be just as useful now as it would next spring! This currant Theory dress is a gorgeous fall option for work you can also wear right now! Another great fall floral, this Cinq a Sept dress would be amazing for date night or a night out! That’s a beautiful dress! I love the fabric, it looks so lightweight and breezy. 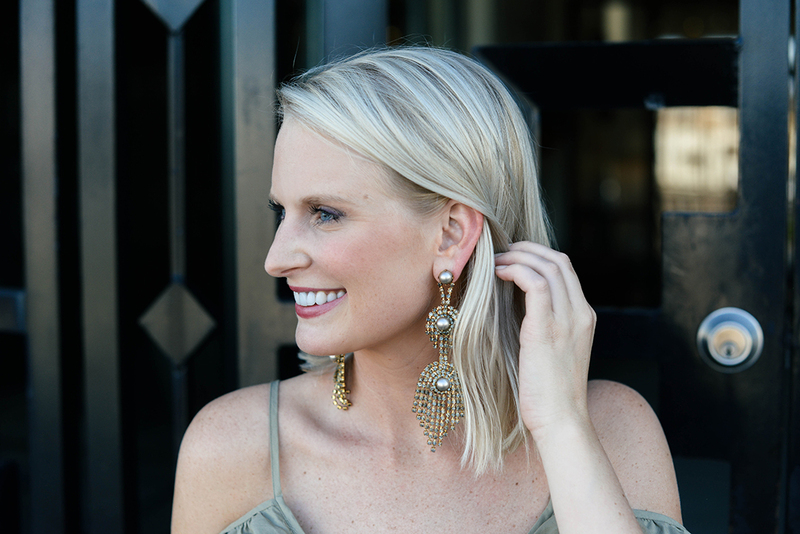 that dress is so pretty on you but these earrings stole the show. Love these muted colors! And those earrings are fabulous! That khaki color looks so pretty on you! I just can’t get over those earrings!! So awesome.